A very high quality component for improving the quality of video signals. 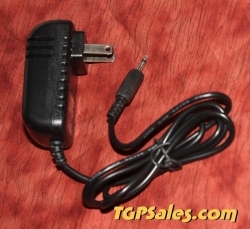 Allows you to adjust the sharpness of a composite video signal. Perfect for enhancing family VHS tapes when you transfer them to DVD! 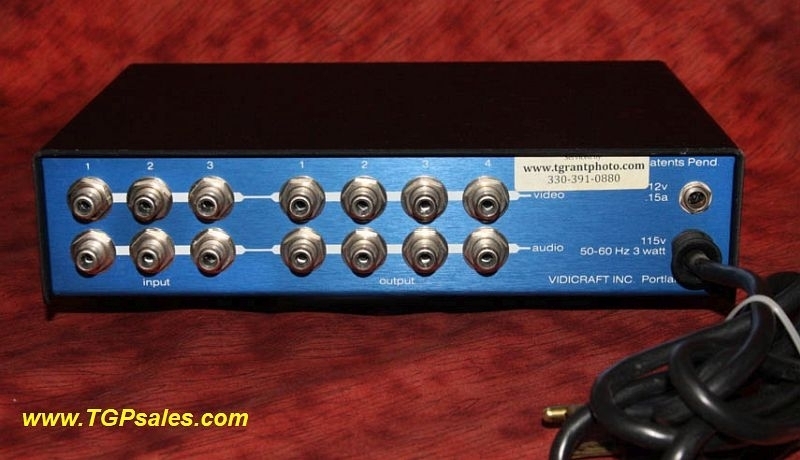 Vidicraft was a company that made high quality prosumer video equipment, they later went on to design & market the famous Studio 1 and SignVideo process amps. 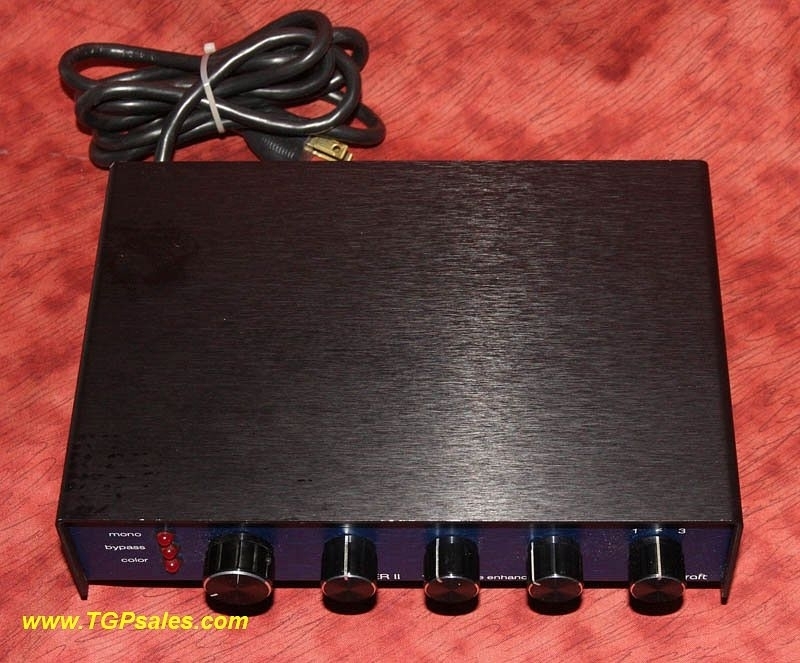 This video processor passes a very clean, low noise video signal and usually can improve your video by sharpening it. An excellent tool. Processes composite video signals only (RCA connectors). 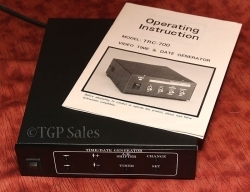 The Controls: The MONO mode supresses the color burst so that downstream TV's and VCR's will switch to monochrome mode, it has no other effect on the video. The SHARPNESS control should be used first, followed by the DETAIL control. The VNX control is used to remove artifacts fron the sharpening process (it has no effect on the original video source). BYPASS mode allows you to see the original video source. INPUTS - You can select from three video inputs. There are four identical video outputs carrying the same identical signal. 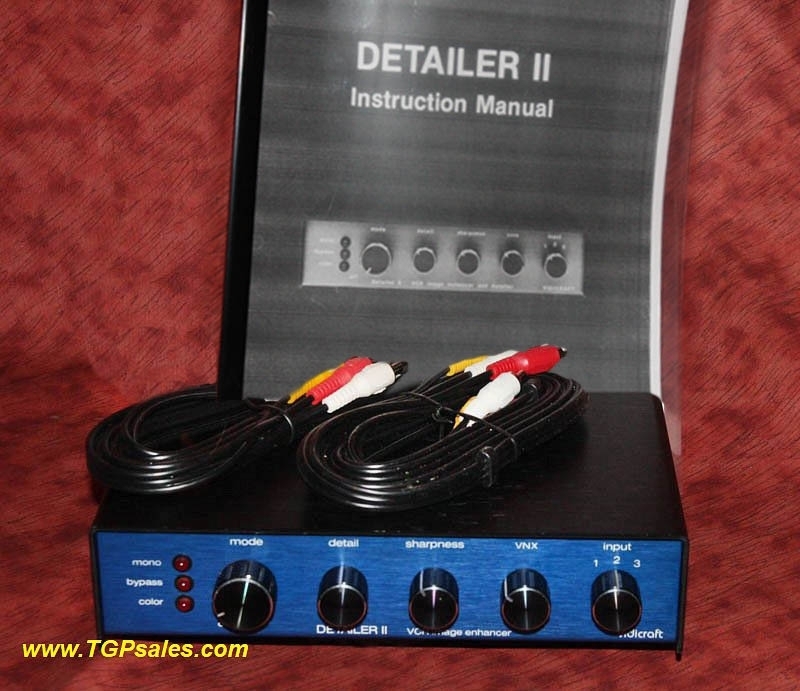 There are some mono audio connections on the back, however we recommend connecting audio from your VCR directly to the recording DVR, since the Vidicraft Detailer has no effect on the audio signal. 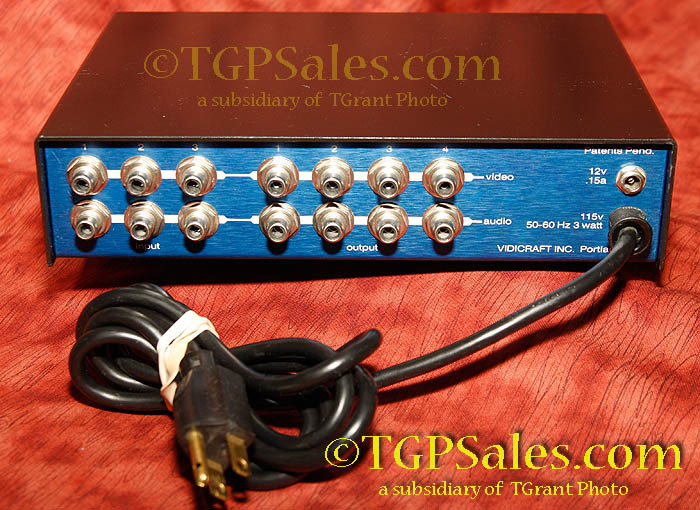 This Vidicraft Proc Amp is in very good used condition. Fully tested using live video sources, we guarantee this unit to be fully functional and in good working order. There are a few scuffs on the black case cover. Otherwise unit is nice and clean and ready to use.